There are still legions of smart people recruited into FS to be put to work on building models that attempt to predict the future…WHY??? Basically, according to this quote, what we need to do is, almost exactly the opposite to what we have done for so many years! 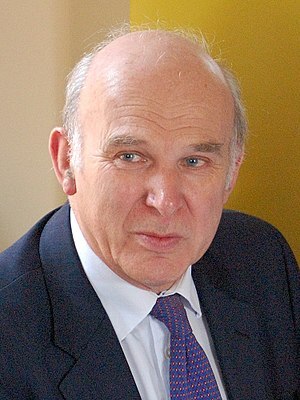 A report commissioned by business secretary Vince Cable was made public earlier this week and finds a financial sector that is no longer fit for purpose. Professor John Kay, a leading economist, has made his recommendations after scores of submissions and interviews with top business and investment people. In particular, Prof Kay says that regulation needs an overhaul and that traders seeking short-term profits are not acting in the wider interests of the public and should be marginalised. His review comes when the stock of the banking sector has never been lower, given a seemingly constant run of scandals involving rogue trading, interest rate fixing and global money laundering. The report finds that short-termism is an underlying problem in UK equity markets, principally caused by a misalignment of incentives within the investment chain and the displacement of trust relationships by a culture based on transactions and trading. Damning verdict on City: ‘No longer fit for purpose’ – Business News – Business – The Independent. In the current economic climate it is probably easier to decide not to invest…who, what can you trust in the midst of such uncertainty? But opportunities do exist for those who can establish where NOT to invest. In many cases, the decision is made by examining a corporation’s financial and balance statements and, of course, its rating. In theory, an investor can look into any public company’s books. In practice this is close to impossible. The rating process is also not excessively transparent. What can a private investor do? Are there any mechanisms which would safeguard an investor from making an investment into a company that, on the surface looks good but in reality hides a nasty surprise. The answer is affirmative. Today it is possible to get a quick estimate of a company’s resilience by analysing its financials. Now resilience says nothing of how well the company’s stock is doing, or how likely the company is to pay its obligations. What it does tell you is if the company is able to withstand shocks and extreme events (known as Black Swans). Want to check out our simple on-line process? Click on the image below.